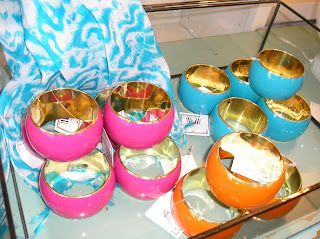 Here are some more lovely things that arrived this week! 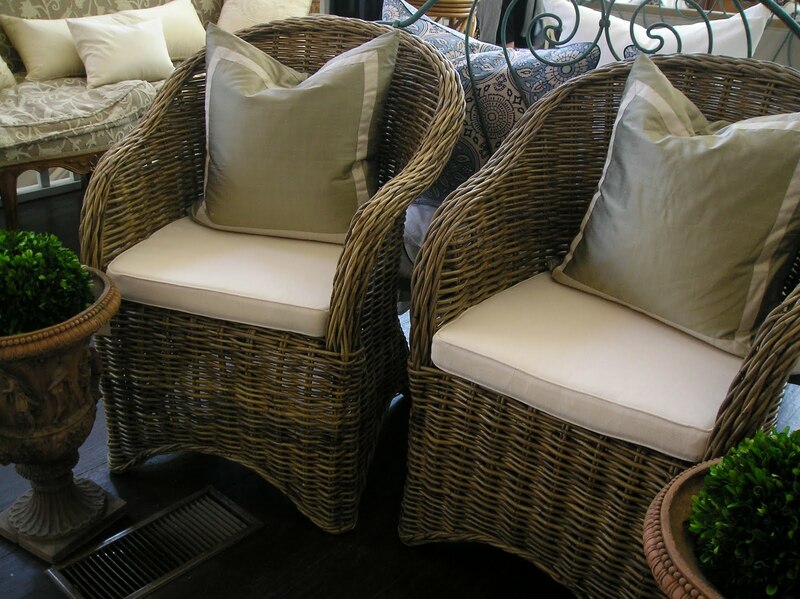 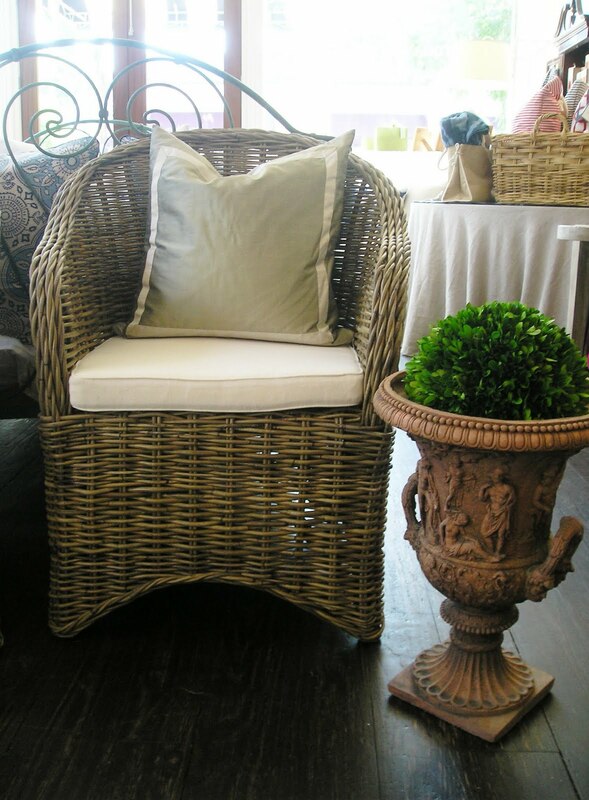 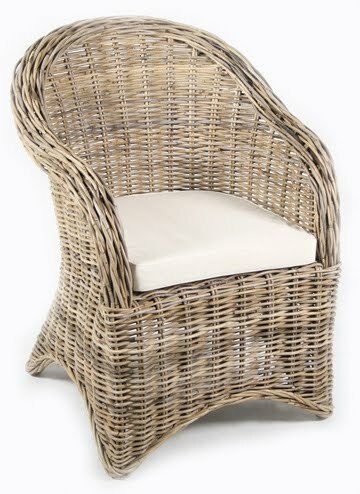 Beachy rattan club chairs, reclaimed wood quatre feuille tables with a white-washed finish and great rattan trays. 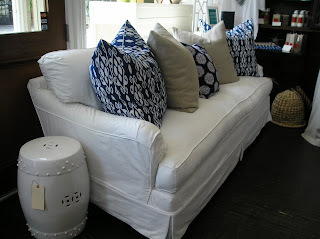 This week has been crazy with all the deliveries...headboards, side tables, lamps, art and chairs! It's been fun making all new displays. 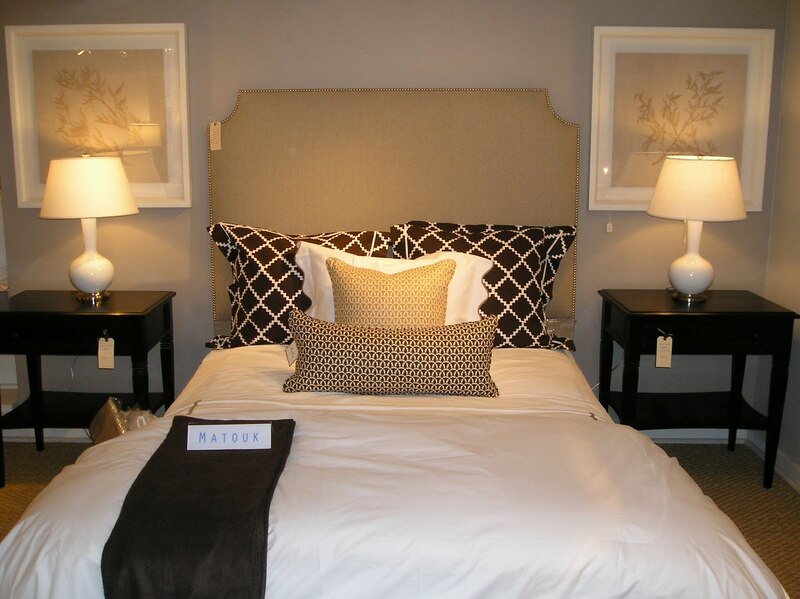 Downstairs we placed the queen headboard in linen finished with nickel nailheads that just arrived. 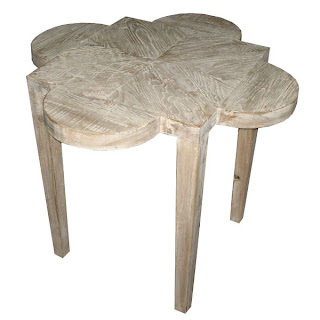 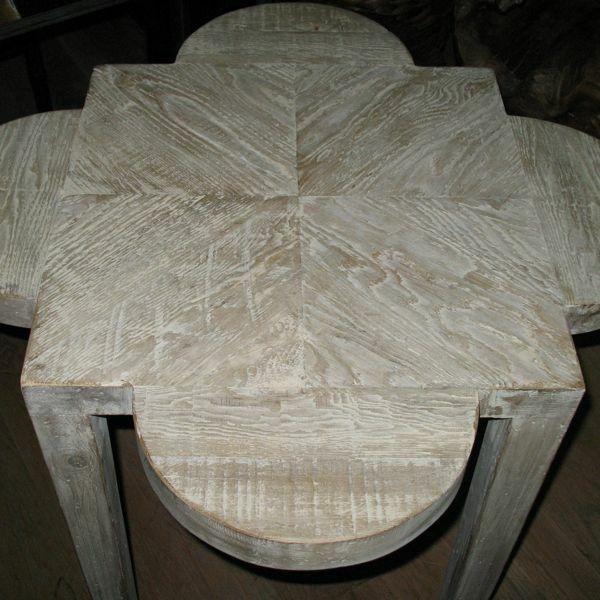 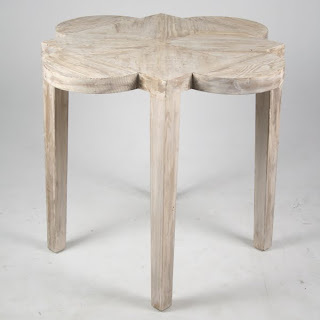 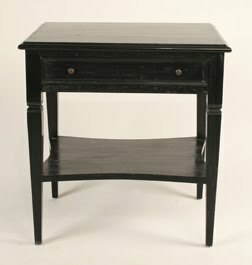 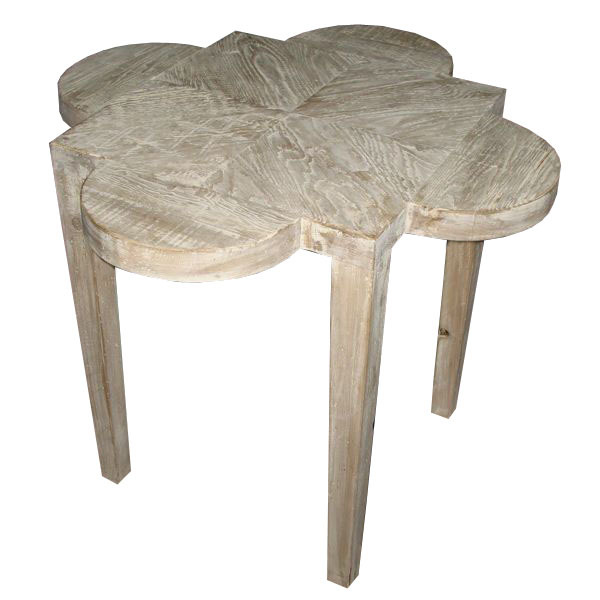 Beside it are the black distressed side tables from NOIR and white gourd lamps with nickel accents. 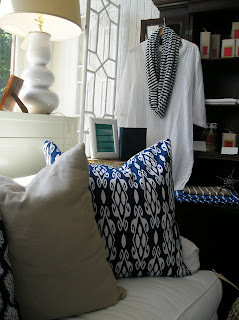 Above each side table is a framed ANKASA embroidered linen piece. 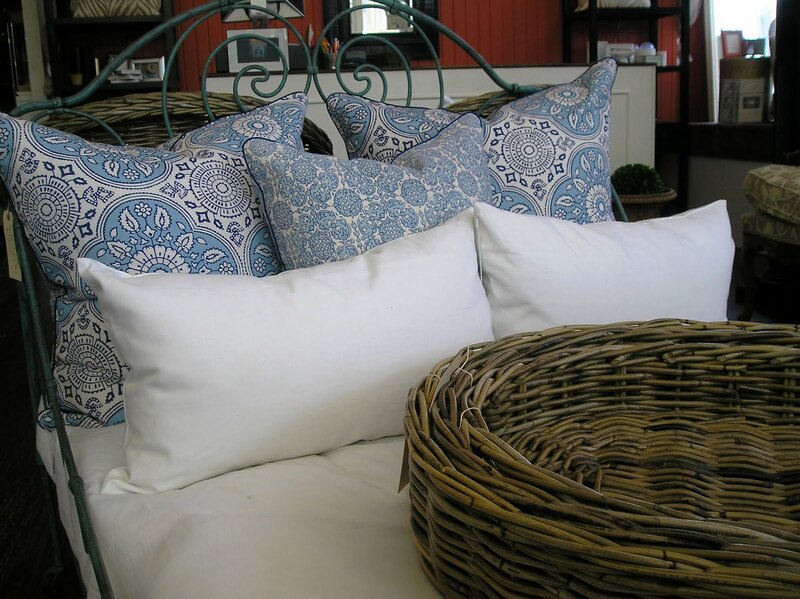 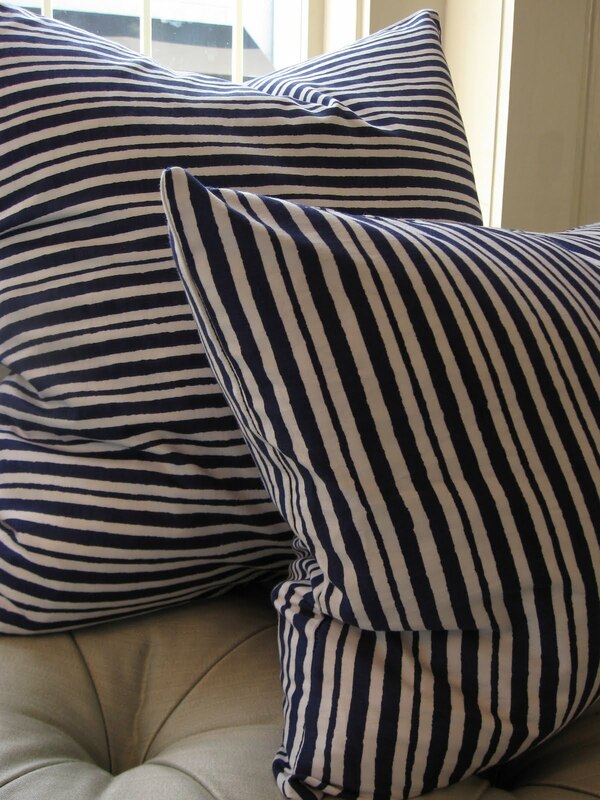 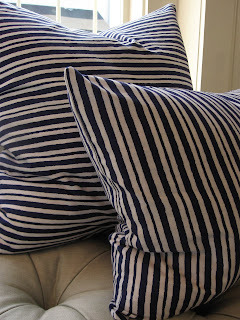 All the bedding is MATOUK and LULU DK for MATOUK, including the signature CHANT fabric. And a lovely bamboo throw in chocolate (feels like cashmere!) 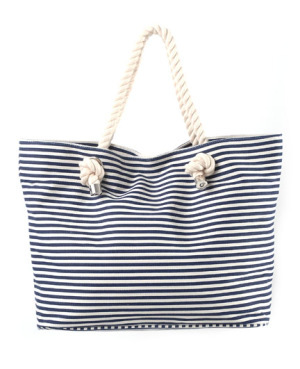 finshes the look off. 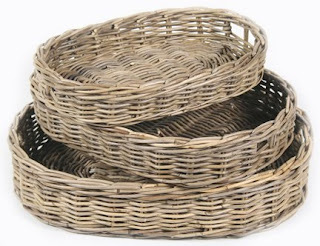 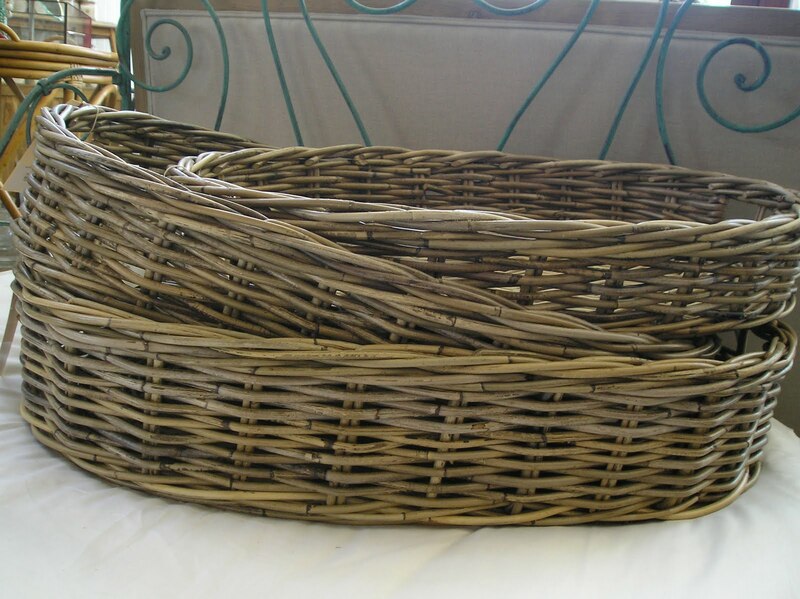 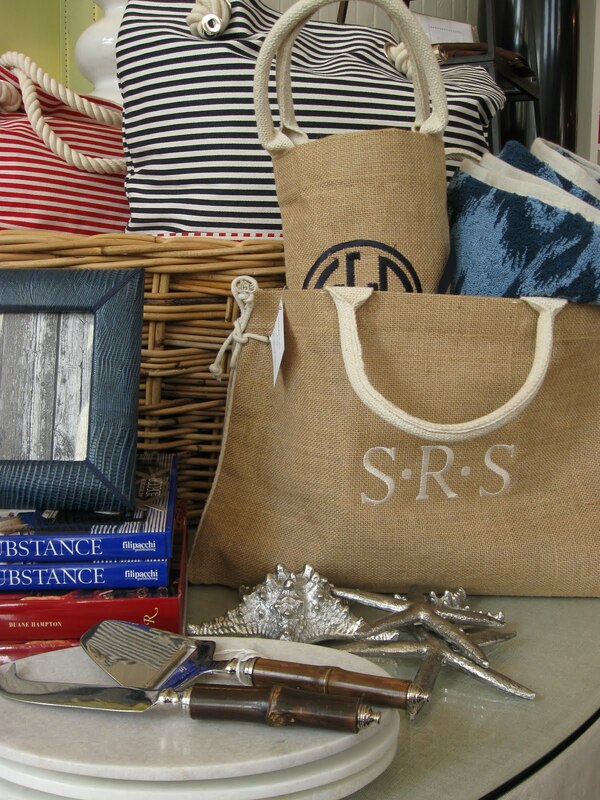 If you're interested in any of the items, just give us a ring! 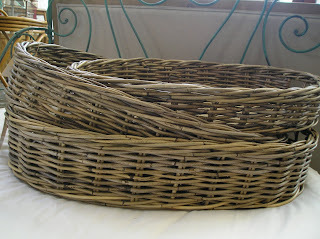 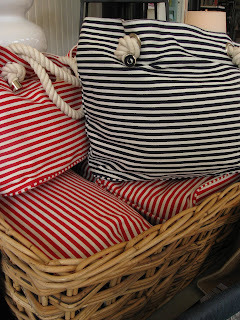 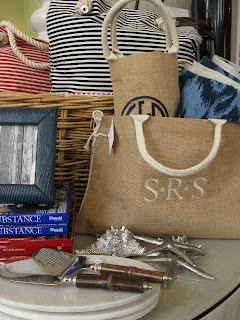 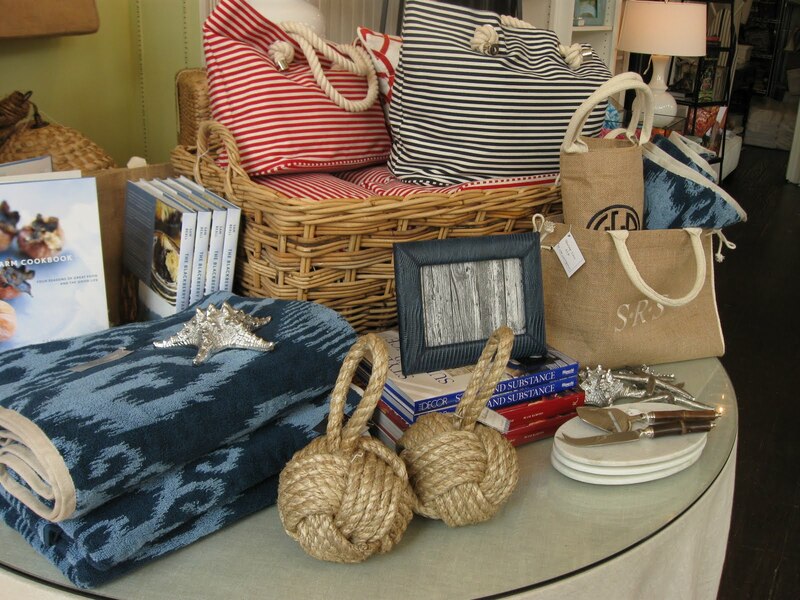 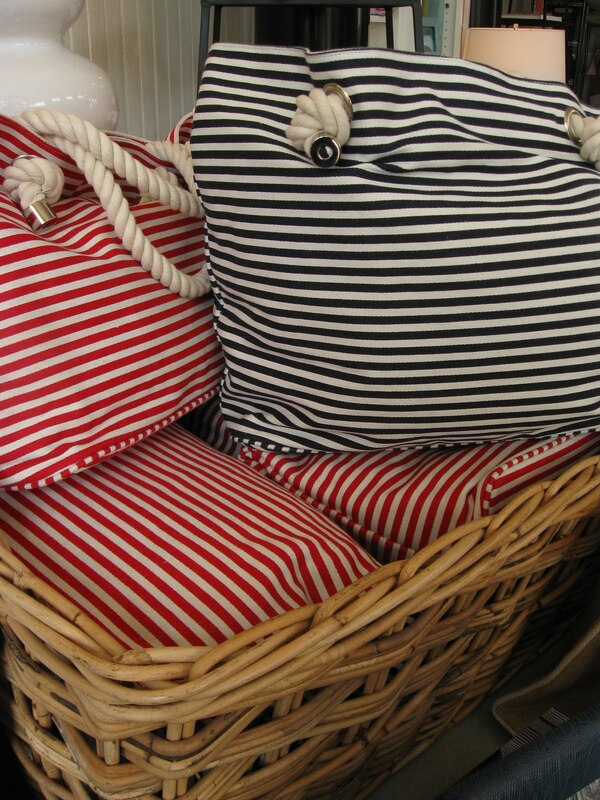 check out the great rope handles on these totes! 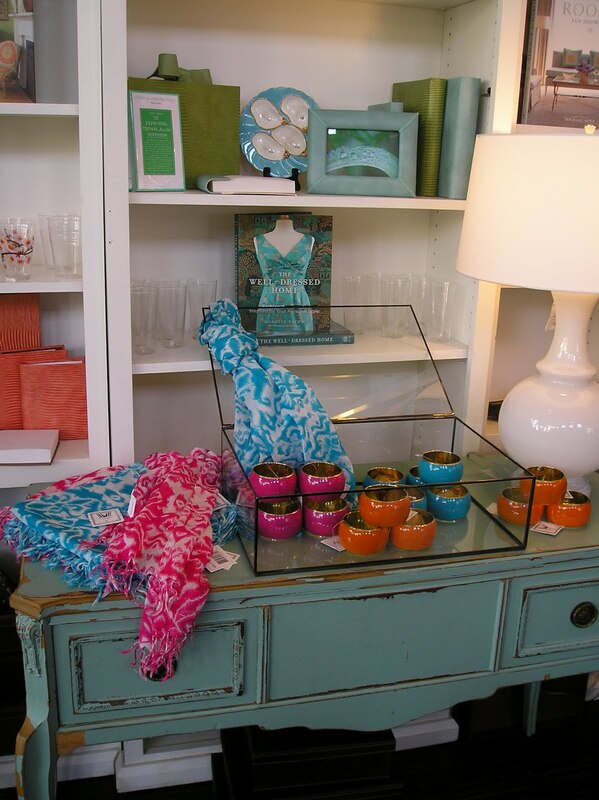 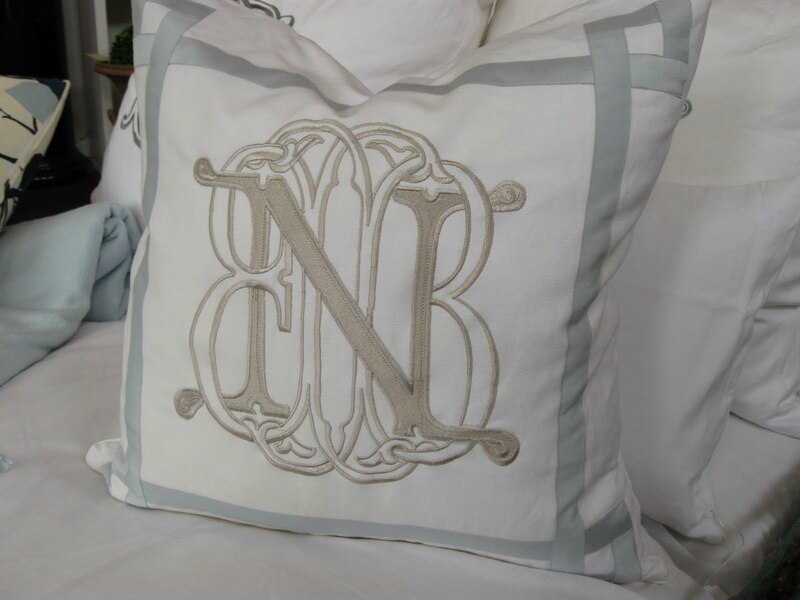 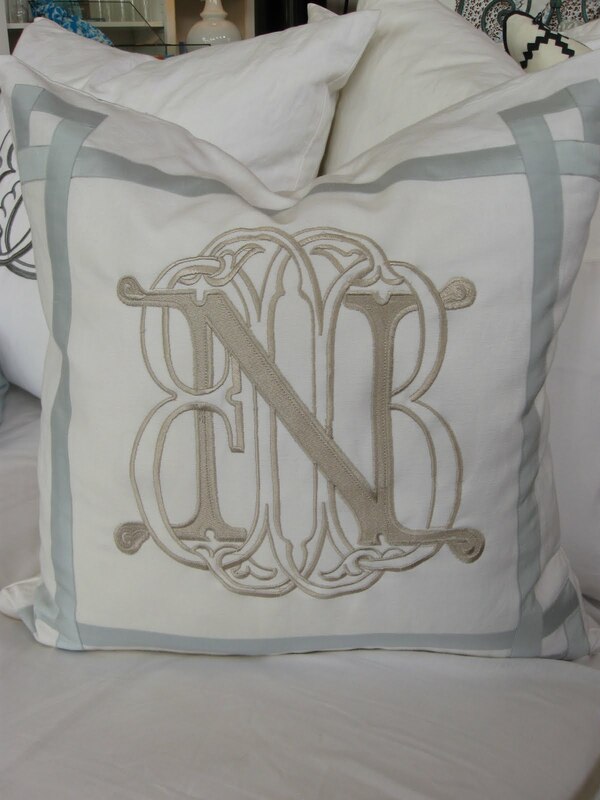 So many pretty monograms leave the shop everyday. 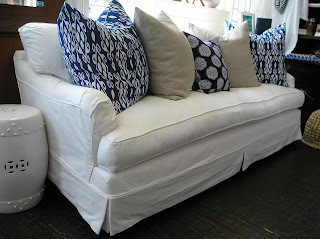 This one however, I think deserves to be blogged about. It's exquisite! 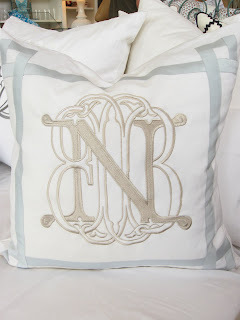 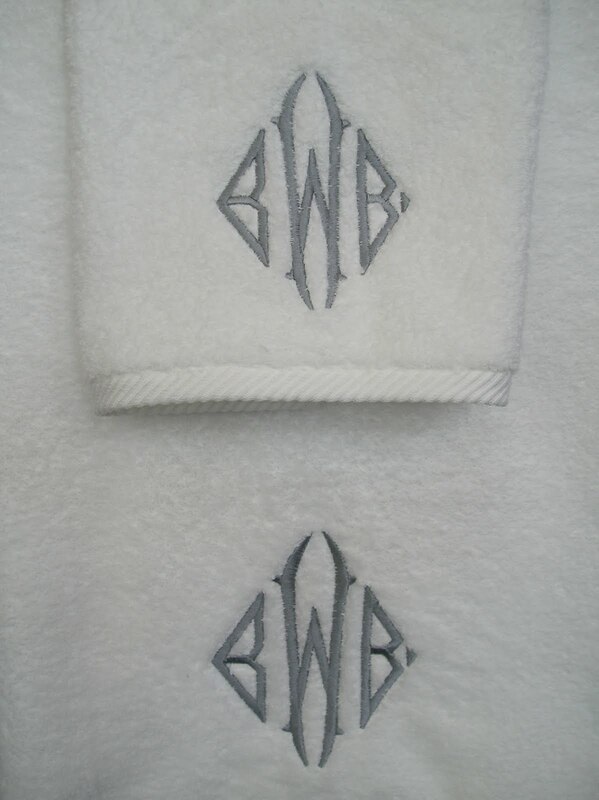 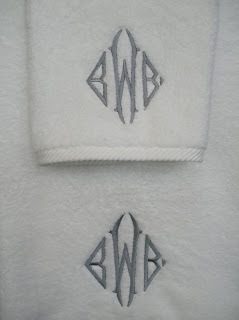 This is a small dose of our custom monogramming option we offer at Number Four Eleven. 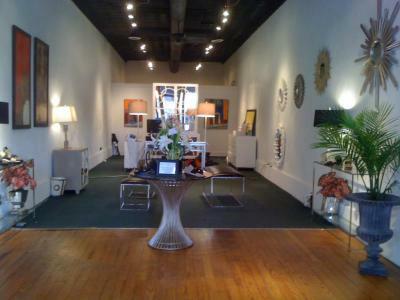 This evening, a new addition to downtown shopping will open its doors on Broughton Street. Please come out this evening to welcome a new friend, Neely Powell, and her shoes to Savannah. 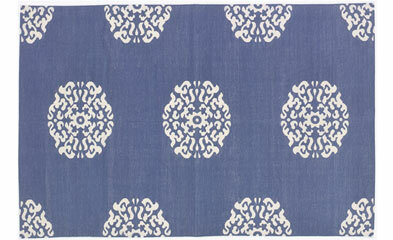 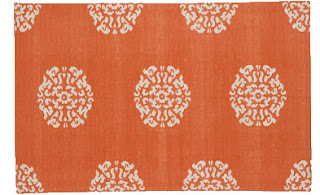 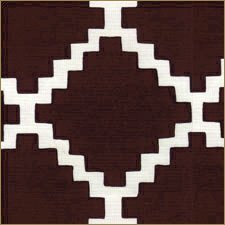 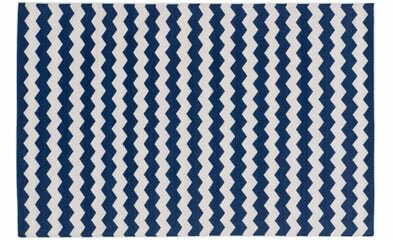 Only three more weeks..until our new shipment of Madeline Weinrib rugs & quilts arrive! 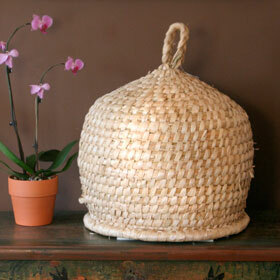 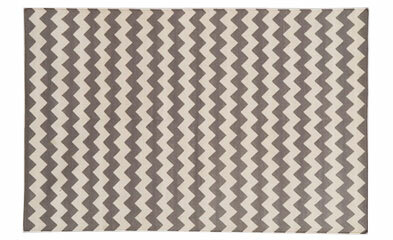 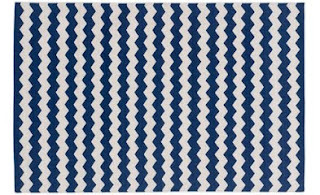 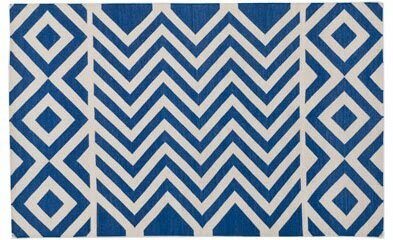 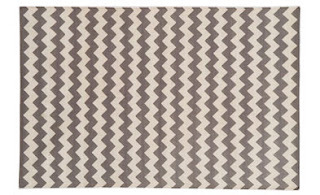 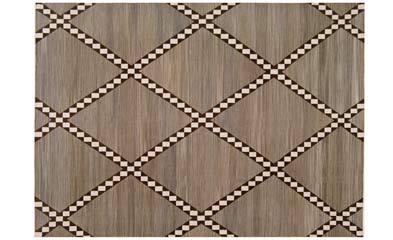 The best selling cotton flatweave rugs will be here soon. 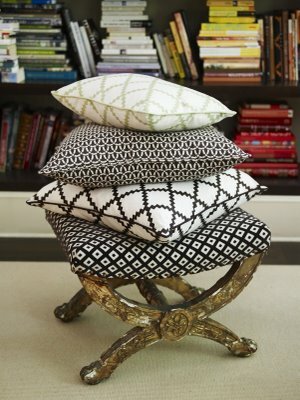 Check out all the patterns and colors that are coming. 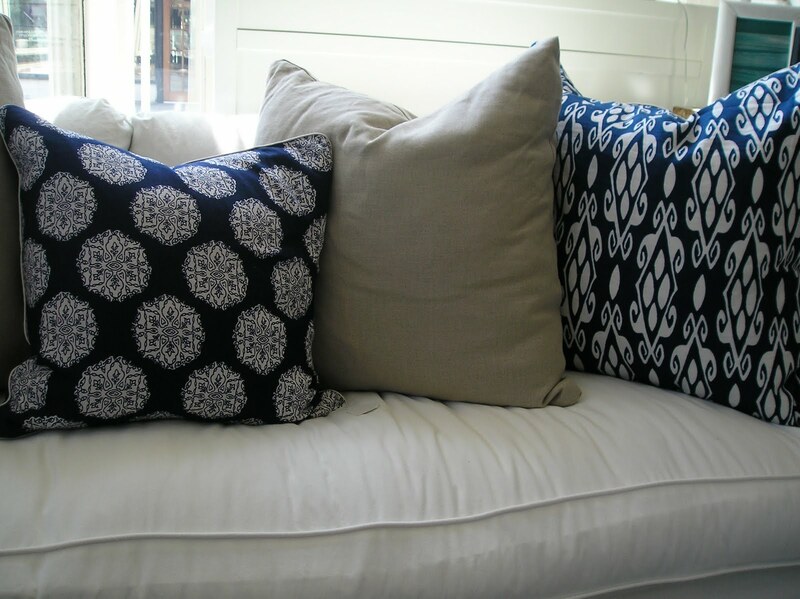 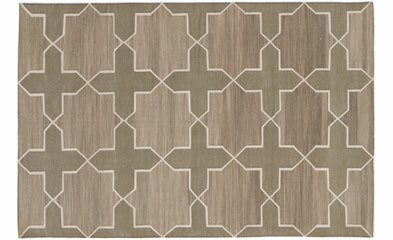 There are some old favorites, like the "Mandala" and new ones, like"Westley" & "Riva". 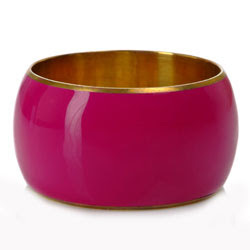 We also have a Raspberry "Keri" and a Beige & Silver Metallic "Riva" coming...don't have pictures of those two yet. 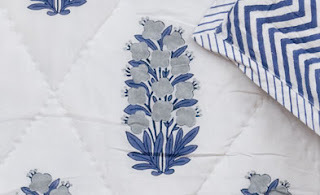 We're also getting a couple of the blockprint quilts which we've never had before. 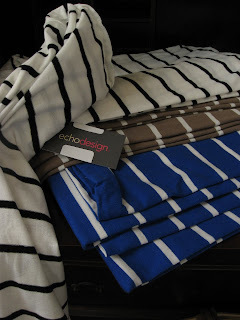 It's going to be Christmas in July! 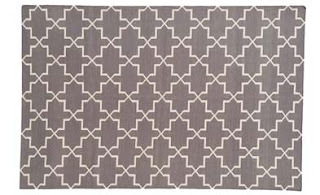 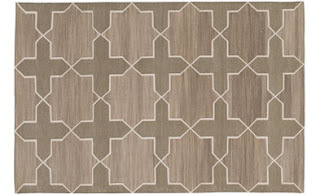 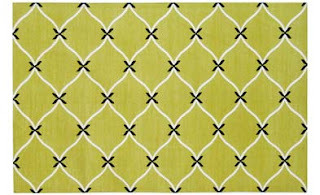 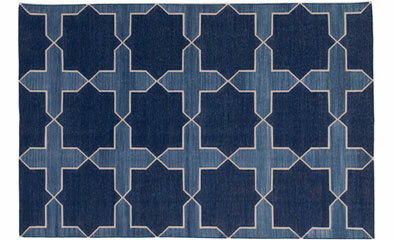 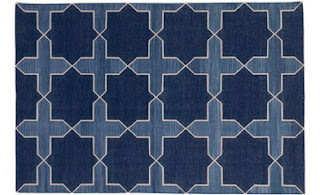 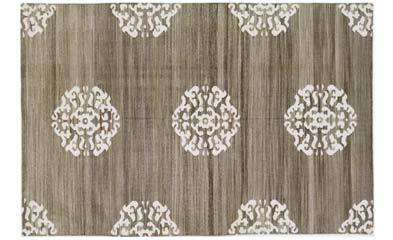 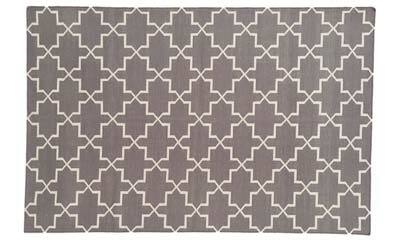 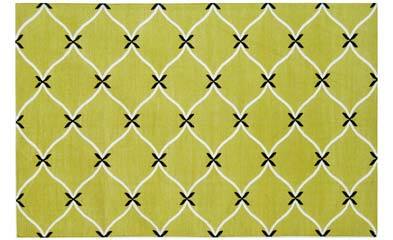 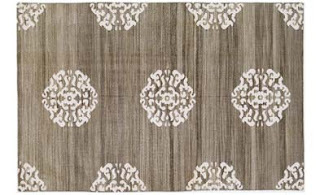 If you would like to pre-order your rug, please give us a call (912.443.0065) or go to our website to place your order. 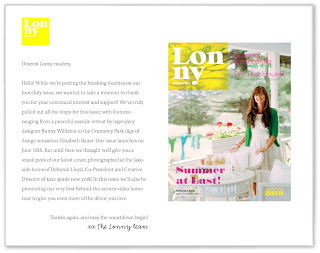 The June/July Issue of Lonny is almost here! 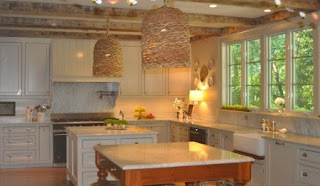 I just read that they are featuring a seaside retreat designed by Bunny Williams. Since we just met her in the shop a couple of weeks ago, we can't wait to see the article. 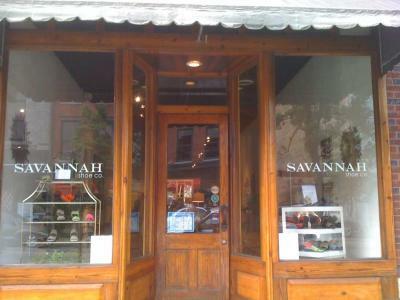 It's officially HOT in Savannah. 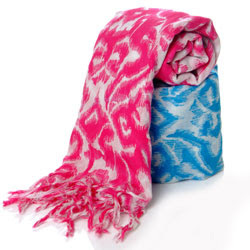 ikat scarf to your white tunic and you're good to go! 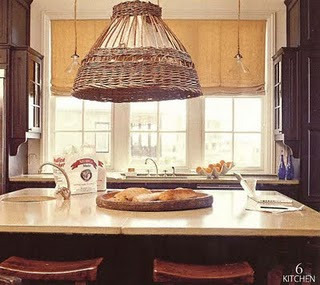 Check out these great looking vintage European beehives...they have been made into pendant lights! 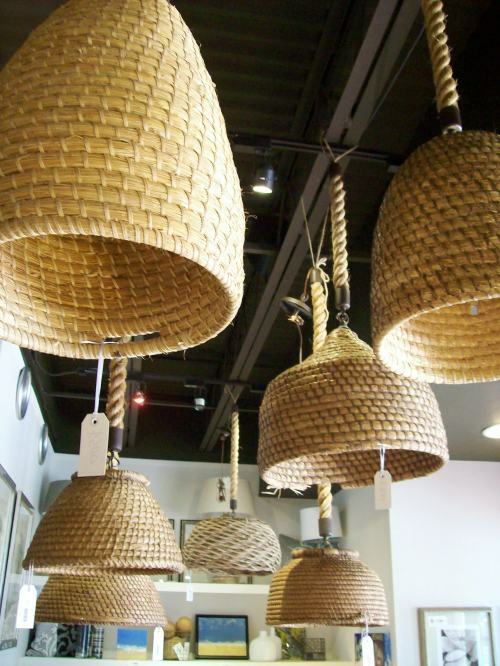 Vintage European Beehive Pendants now available at Number Four Eleven.